A speech-language pathologist shows parents and caregivers that they don't need to be experts to help kids communicate better! Use this uniquely designed book to improve the communication skills of young children ages 3 through 7 who have delayed or ineffective speech due to autism, Down syndrome, cerebral palsy, cleft lip/palate, Childhood Apraxia of Speech, hearing loss, or another condition. Adults can read the story on their own or with their child to empathize with his struggles to talk while learning practical ideas that help. 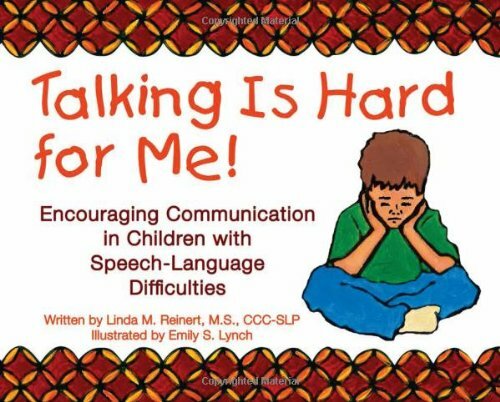 The accompanying informational sections are full of accessible speech-language therapy strategies and instructions to improve communication and ease frustration. Readers will be empowered when they see how easy it is to apply these practices throughout everyday life! Share this book with your child's peers, family members, daycare providers, and teachers. It makes a great tool for speech-language pathologists to reinforce therapy outside of sessions. If you have any questions about this product by Brand: Woodbine House, contact us by completing and submitting the form below. If you are looking for a specif part number, please include it with your message.